Some things never get old: Mountain Dew, Doritos, Keanu Reeves, America, and the muffled thump of a shotgun round impacting the rotten remains of whatever a zombie calls a head. Or at least, I told myself that last one as I slaughtered my way through countless moaning walkers at a Killing Floor 2 event last week. I'm sort of done with zombies, and I don't think I'm alone in that sentiment. When historians look back on this era, I'm sure they'll be able to pinpoint a moment as "peak zombie." I don't know when we hit that fabled critical mass, but it was a while ago—and like a great undead horde, the zombie games just keep coming. It's the "Please stop making World War II shooters" of the Xbox 360/PlayStation 3 era. Even in this onslaught of zombie games we occasionally get something good though, and while I think Dying Light is destined to be my favorite zombie game this year, Killing Floor 2 is putting in a decent run at second. So what is it? Well, it's more Killing Floor. And what is Killing Floor, you ask? Well, it's basically Left 4 Dead. I can't make it any more succinct than that. 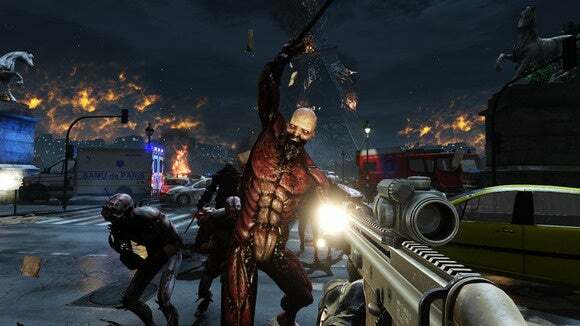 Killing Floor is a 6-player co-op zombie shooter that started as a 2005 mod for Unreal Tournament 2004 and eventually got a standalone release in 2009. That means (in case this question ever comes up on Jeopardy) Killing Floor actually preceded its brother-in-arms Left 4 Dead by three years, although I'm sure most of you know Valve's/Turtle Rock's game better. And that's sort of a shame, because Killing Floor is damn good, in a dumb shoot-zombies-and-don't-ask-why way. 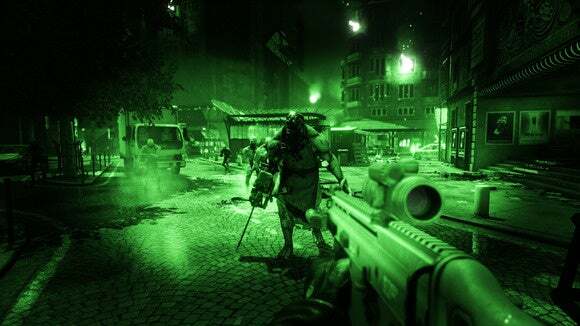 It's basically zombie horde mode, with waves of enemies you need to kill off in order to make it to the next round. Each map has ten rounds, with the final round consisting of a boss enemy. Killing Floor 2 is more of that. Ten rounds. Boss enemy. Guns. Shooting things. Making heads explode. I got the chance to play a round last week and it's just as fun as Killing Floor ever was, albeit with a bit more variety this time around in terms of characters, perks, enemies, and the like. "In Killing Floor 2 players descend into continental Europe where the outbreak caused by Horzine Biotech’s failed experiment has quickly spread and gained unstoppable momentum, essentially paralyzing the European Union—Just one month after the conclusion of the events in the original Killing Floor, the specimen clones are everywhere and civilization is in disarray; communications have failed, governments have collapsed, and military forces have been systematically eradicated. The people of Europe know survival and self-preservation too well and lucky survivors have gone into hiding." So yeah, that's the set-up. Of course, story is pretty secondary in Killing Floor. Mostly you're just running around with friends killing zombies. And developer Tripwire knows that. In fact, the feature I heard the devs get most excited about at our demo was persistent blood. I'm not even joking. It's even in the press materials they sent over. 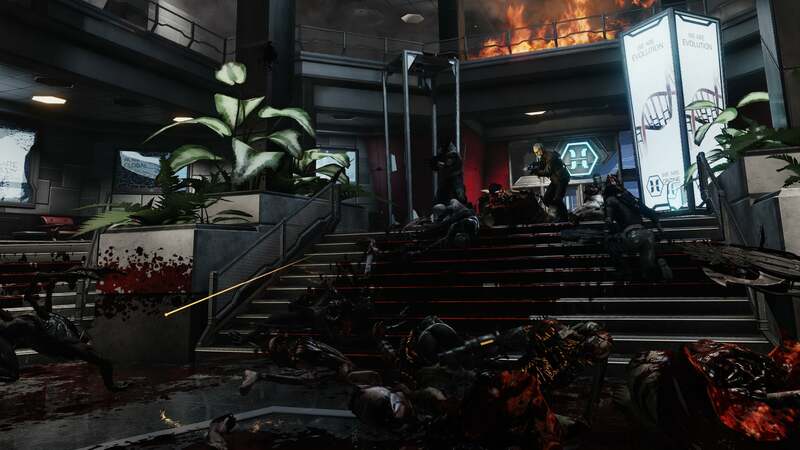 From the press kit: "Killing Floor 2 ramps up the gore with a proprietary, high powered persistent blood system bringing new levels of fidelity to the genre." So yeah, if disappearing blood was the thing stopping you from playing Killing Floor, I guess that barrier's now gone. 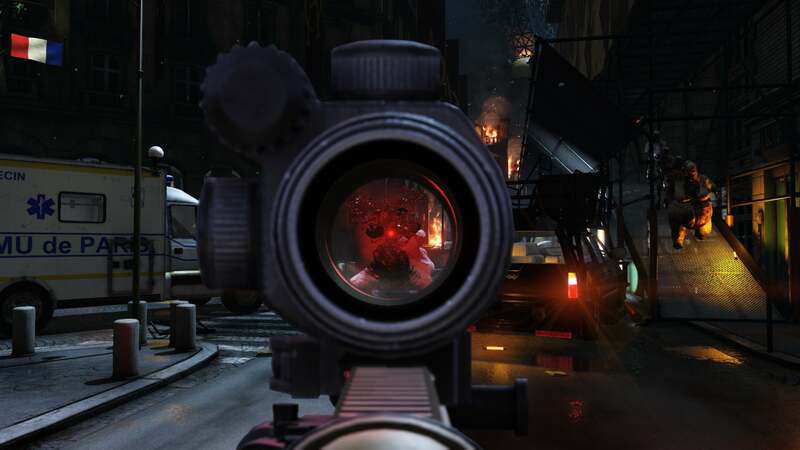 Seriously, though: Killing Floor is great because it's an excuse to get together with friends and shoot things. It's not very complex, although it's got all the RPG trappings common to a modern first-person shooter (perks, et cetera). It's just a solid, well-balanced zombie game with some creative (and horrifying) enemy designs—my personal favorite being some sort of spider-corpse thing that walks on all fours and leaps at you without warning. Killing Floor 2 adds the smattering of new weapons (27 at the moment), new characters (8), and new enemies (11 total so far) you'd expect from a numbered sequel. The one big thing I've noticed is that the AI is better about flanking/trapping players now, although enemies do still have a tendency to run right at you. But it's otherwise adhering pretty strictly to the "not-broken-don't-fix-it" tenet, and that's fine. 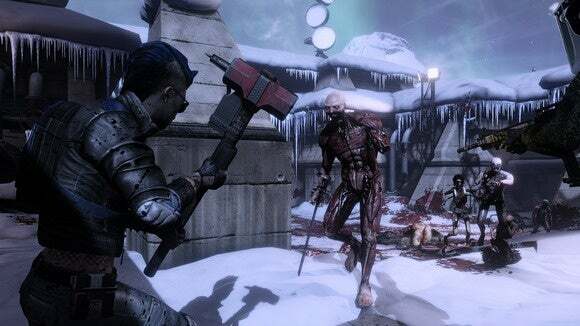 Killing Floor was, indeed, not broken—it's still fun to play right now, if you've got a copy handy. And considering it's been six years since the original, I can't really blame Tripwire for putting out a sequel. You can try it for yourself soon—the game drops onto Steam Early Access for $30 on April 21. Round up a posse, grab some guns, and bag yourself some zombies. And make sure to stop and admire the persistent blood effects. If not for me, do it for Tripwire.